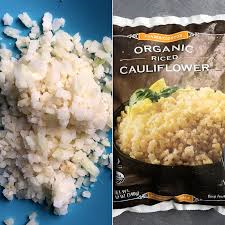 I have been ricing cauliflower for well over a year and every time I do it there is cauliflower EVERYWHERE, so while it is nutritious and delicious I often find myself not wanting to deal with the mess. That was until one of our followers told us that Trader Joes sells the most incredible pre made cauliflower rice in their freezer section! Now it is harder to get your hands on but if you see it pick up a few bags because you won’t be sorry! This is far closer to the consistency of “real rice” than anything I had ever made and for 1.99 for a 12 oz. bag you really cannot go wrong! In a small skillet sauté the bell peppers, onions, garlic and jalapenos until they just begin to soften. Season with salt and pepper to taste. 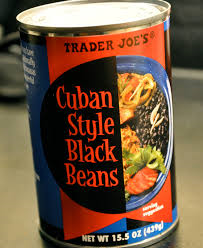 Add the drained black beans, adobo and ¼ cup water, stir and let simmer for 10 minutes. To make this like moro add some of the black bean mixture to your prepared cauliflower rice and mix together. You can make the whole bag of cauliflower rice in advance as it reheats very well and simply spoon your black bean mixture over each individual serving. If you don't have time to make your own black beans, Trader Joes comes to the rescue once again with their canned Cuban Black Beans, for a whopping 99 cents you can cut down the prep time to this meal and still serve your family something delicious!